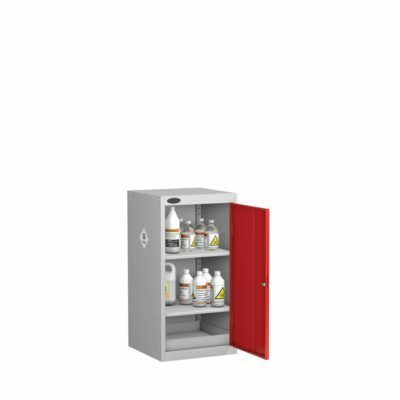 Our range of Toxic Cabinets will allow Toxic materials to be clearly identified, handled and stored securely and correctly. 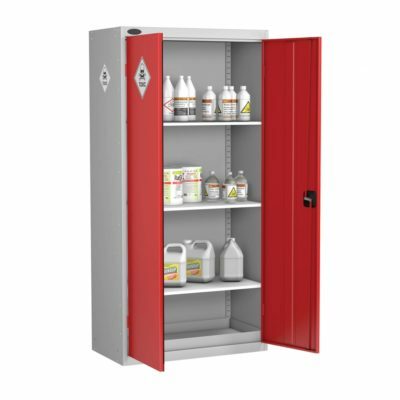 Toxic cabinets for safe and secure storage of toxic materials. Strong Robust construction. All cabinets feature adjustable shelves and additional shelves can be purchased, contact us for a quote. Two point locking on all double door cabinets and a removable 75 mm sealed sump base tray as well as high visibility 270 degree labelling complying to BS5609. 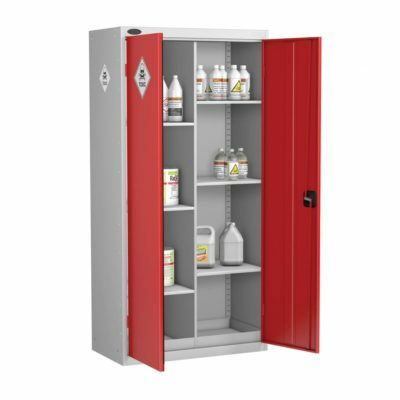 All Toxic cabinets will have Silver carcass and Red doors and come with free UK Mainland delivery (except highlands). 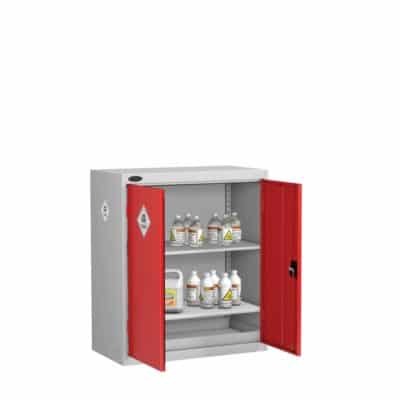 All Toxic cabinets are made to order so please allow around 15-20 working days for delivery.